Here are the ladies looks that aced the 2015 Australian Open. Across the board, the tournament featured a number of ladies in neon and electric colored designs which boldly contrasted with Melbourne's blue hard courts. 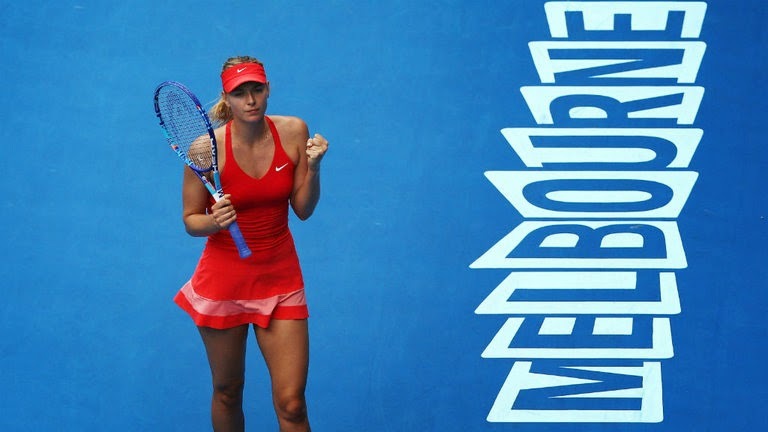 Maria, the 2015 Australian Open Ladies Finalist, dazzled in red down under. Glad to see she's moved past her tunic phase. Madison rocked Nike's raspberry outlier look all the way to the Quarter-Finals. 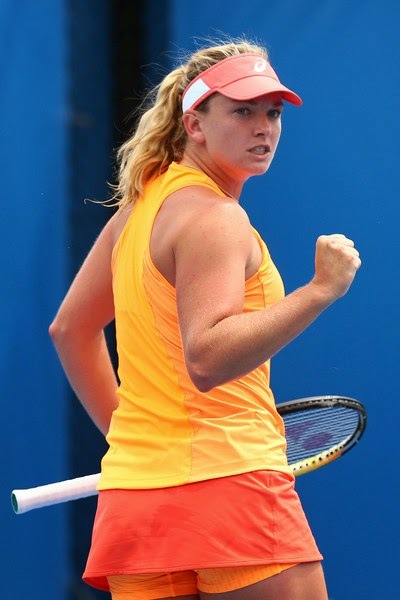 Angelique had a short stay in Melbourne, but her navy/orange Adidas kit impressed during her unexpected first-round loss. Lotto seems to be succesfully following the "if it ain't broke" line of design with Aga. 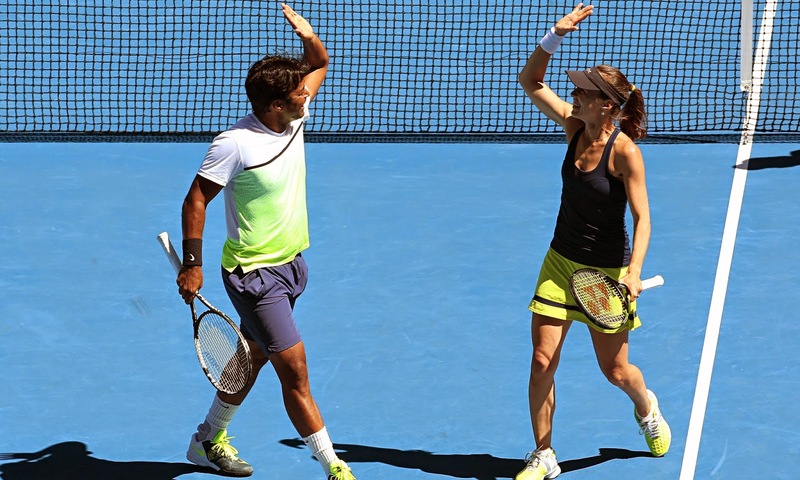 Marina partnered with Leander Paes to win the 2015 Australian Open Mixed Doubles crown. She rocked her own Tonic Tennis by Martina designs and was perfectly in sync with Leander's style and play. 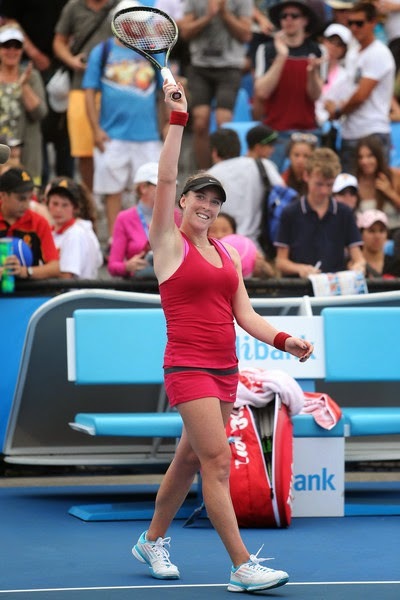 Elina's Ellesse kit looked like a burst of sunshine against Melbourne's blue courts. Vika dazzled her way to a fourth-round appearance in this lemon-lime Nike kit. The 23-year-old American stood out in her bold orange and tangerine Asics outfit. Coco knocked out two of her similarly attired Asics-mates (Francesca Schiavone and Sam Stosur) to advance to the 3rd Round of the tournament. 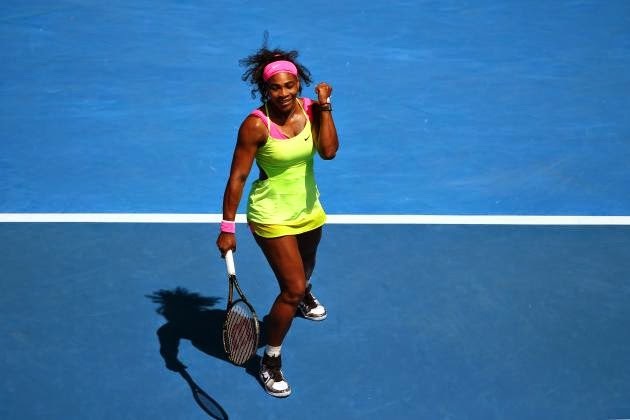 Serena stole the show and claimed her 6th Australian Open title this bold hot pink/electric yellow Nike kit. Will 2015 see the return of the catsuit? Which look did you love?